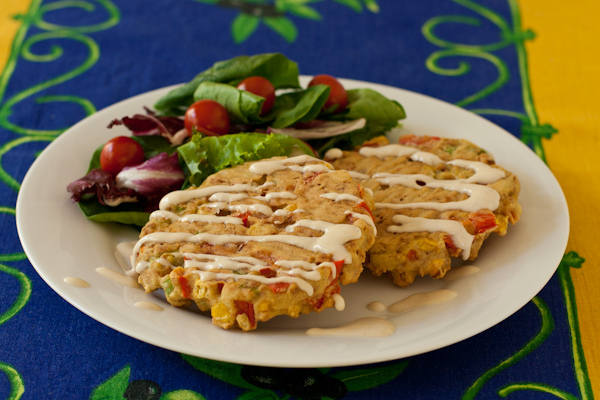 Sweet corn is still in season at San Diego’s North Park Farmer’s Market, so enjoy these hearty corn cakes, which take a minimum of time on the stove. You can use frozen corn the rest of the year. The original recipe is my mom’s “thick fritter batter” for tuna fritters. The renovation: I don’t cook these in deep fat, for one! You simply use a hot skillet and a generous amount of cooking spray. 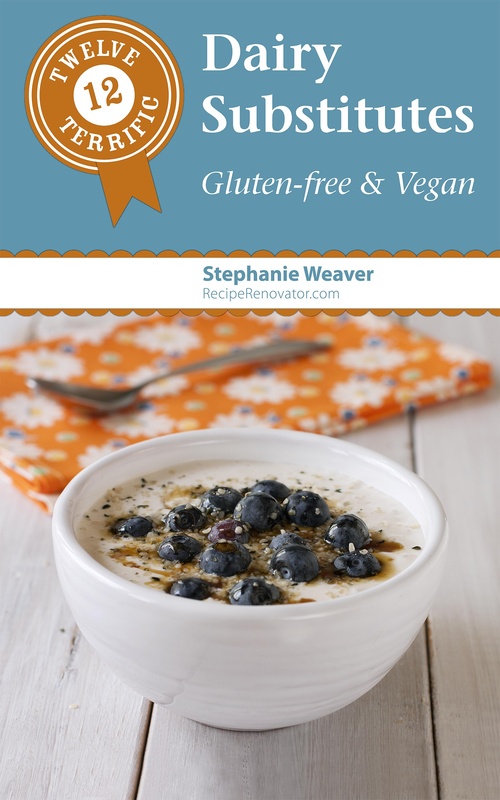 I have swapped in gluten-free flour for the regular flour, soy milk for whole milk, and olive oil instead of vegetable oil. These are also loaded up with veggies. 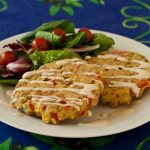 Vegans can omit the bacon and egg, adding 1 t. smoked paprika or smoked salt to add that meaty flavor, or use this coconut bacon recipe. Mmmm. Savory, quick cakes loaded with the tasty flavors of red pepper, corn, and just a touch of bacon. Vegan options included! Husk the corn, pick off as much silk as possible, and carefully slice off the kernels. Pick through and remove the rest of the silk. Cook the bacon slice until crispy, then drain well on paper towels and finely chop. If not using bacon, add 1 t. smoked paprika to give it a savory smoky taste. Wash and finely chop the peppers, onion or chives, and the savory and place in a bowl with half of the corn kernels. In a blender, put the reserved half of the corn kernels, flour, baking powder, egg, milk, oil, and seasoning. Blend until smooth. Pour into the bowl and stir to combine. Heat a non-stick skillet over medium heat until a drop of water sizzles. Spray generously with cooking oil spray. Use a ¼ C. measure to scoop even amounts of batter onto the skillet. Cook about 5 minutes per side. You can use egg rings to make more evenly shaped fritters, but spray them well and don't overfill, as this will stick. Serve with a side salad and your favorite homemade salad dressing drizzled on top.